The neighbourhood winter canteen, a snap shot of quality artisan goods coming out of the Hannahs Laneway community. The intrepid business owners of the Hannahs Laneway precinct are collaborating once again to bring their neighbourhood fare and flavours to the deserving masses. 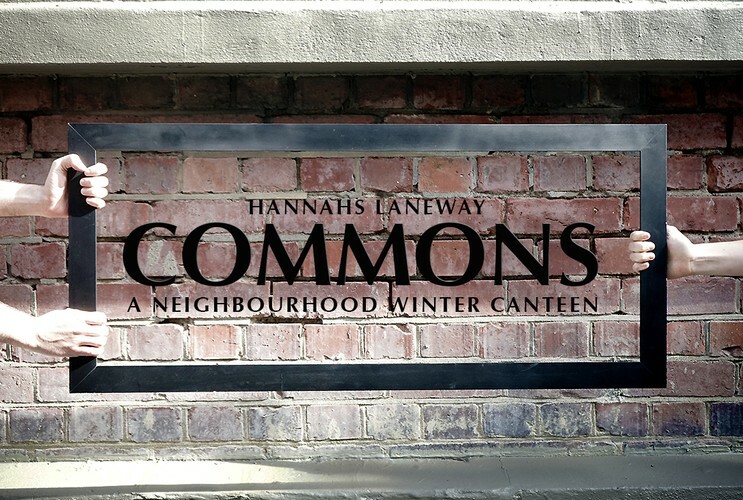 This time with a two day mess-hall style canteen – The Hannahs Laneway Commons. Innovative seasonal tucker from Leeds Street Bakery, Pizza Pomodoro, Wellington Chocolate Factory, Egmont St. Eatery, Red Rabbit Roastery and Golding’s Free Dive, perfectly matched locally sourced wines combined with the best that festival favourite’s Garage Project have to offer will leave guests wanting more. Eat, drink, repeat.